I have been working with my home church in a video installation project. We have had a number of “experts” come to make proposals. I have been amazed at the seeming lack of understanding as to the needs of churches in video projection and the lack of knowledge of appropriate sizes of screens for a given space among A/V “professionals.” Hence, I have spent much time researching the issue to determine the ideal and minimum sizes of screens for use in worship. Go with a widescreen format (16:10 or 16:9). The industry is gradually abandoning 4:3 format. Going with 4:3 tends to give you something of a dated look to start with. If you already have that, don’t be in a hurry to go widescreen–it may not be worth the cost until you need to replace your projector(s). If you intend to use your system to show more than just song lyrics, you should target a screen height of 1/6 to 1/10 the distance from the screen to the back row. In other words, if the distance from the screen to the back row is 60 feet, then the screen height should be 6 – 10 feet. The width is determined by the aspect ratio; so, if you use 16:10, you would have a screen minimally 9.6 x 6 or a maximum of 16 x 10. I should note that many sources felt 1/8 was a good size overall. Aesthetically, the largest size may be difficult to pull off in upfitting an existing building. Sometimes, architectural limitations may require you to install screens smaller than ideal. Just realize the trade-offs up front. As you decrease the screen size below the 1/10 measure, you will find that text in video and other presentations may be too small to be readable and the details of a video may go unnoticed. Song lyrics can easily be made larger by adjusting the font size. PowerPoint or other presentation that you design can take these limitation into account during creation. 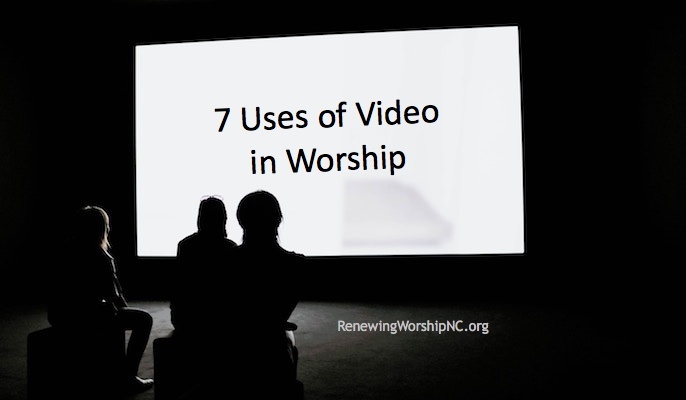 You, unfortunately have no control of presentations and videos produced by people outside your church, and the smaller screen size may render some of these useless or less impacting. Consider aesthetics. If you are upfitting an older, traditional worship space, be sure your vendor works with a carpenter that can help create ways to blend technology with the beauty of the traditional structure. You don’t have to have screens that seem like big zits on your front wall. Sometimes, this requires thinking outside the box. For instance, you may need to alter the moulding or structure around a baptistry to disguise screen housing that can be retracted at times you don’t want a screen to be visible. On the other hand, don’t accept a screen too small just because it seems the aesthetics dictate that–there may be more options than you have currently discovered. Keep at it! Definitely plan to install a screen(s) in the rear of your worship space for the worship leaders to see. Be sure you take into consideration optimum sizes in this installation as well. In reality, upfitting existing spaces may be more difficult in this area, but push hard to come as close as possible to matching the size of your front screen(s). Realize that if you have to go smaller, that the worship leaders will have drawbacks as discussed above with undersized screens. For my church, one video consultant had specced out a rear screen about 1/4 the size of the front screen. That just will not do! Don’t assume that the rep the video company sent you really knows about video needs in houses of worship. Do your homework and don’t accept their recommendations blindly. Anyone have any tips to share concerning screen size selection? PreviousIs Change Necessary? Then Burn Your Boats! NextWhy Should My Modern Church Add a Choir? 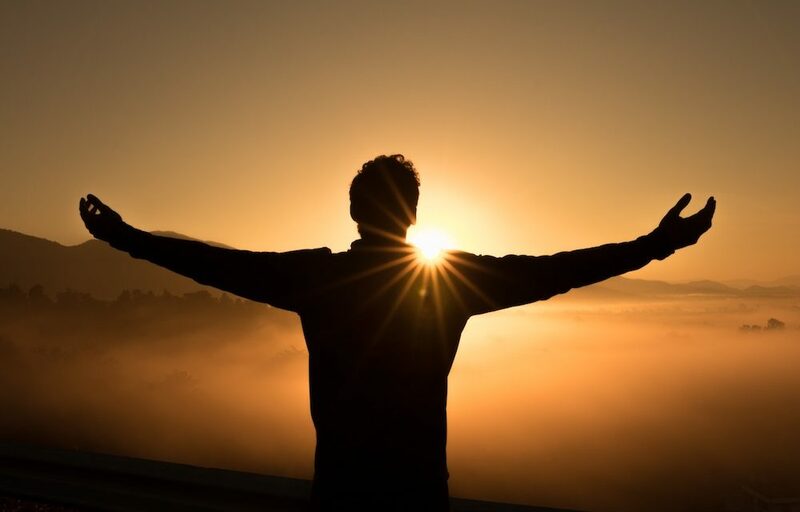 Lighting, positioning, size, etc … consulting an interior designer (not decorator) can help – they have architectural and creative skills that can help with aspects of blending technology into your worship space. You are so correct about being careful. I have lead a small audio video missions team to help smaller churches with low budgets get good equipment. We have had to fix for free many installs that people payed good money for. One outfit that wil not lead you in a ditch is Shepherds Multimedia out of Texas. They do it three ways. They consult and you install, they send one guy and you provide help, our they will do it all. These guys know church. Thanks for all you do Kenny. Just curious if you ended up with the 75″ monitors? If so, how did it work out? Pastor is asking about it but he wants 1 screen. However, we are only 50ft to the back row. Still almost 40ft wide, though…. Be sure the remote control for raising and lowering the screen operates on a radio frequency rather than infrared. Infrared requires direct line of sight. 1) Be aware of the lighting in the area of the screen. You can install a properly-sized screen in an area with a lot of ambient lighting and the image will be washed out, making it difficult to see clearly. Some lights may need to be turned off or removed for the image to look good. 2) In a similar vein, when choosing a projector, keep ambient lighting in mind and choose one with a proper amount of light output. Projectors with higher lumens have come down in price significantly over the past few years, and this should be one of the major considerations when purchasing one (albeit not the only one). 3) Also, screens have different types of reflective surfaces (or are translucent, for rear-projection) that may be more or less appropriate depending on the situation. Sometimes a wall painted with a special reflective paint may be a better option than installing a screen. A little research will yield much better results than just window shopping. Thanks, Scott. The whole lighting issue, screen surfaces, and projector selection certainly warrant additional discussion. Thanks for weighing in on those. Great suggestions!